Prep your cheesesteak sandwiches and your predictions, because NXT TakeOver: Philadelphia is upon us! Let’s go through the card and see what is in store for us on Sunday morning, Manila time. This may look like it came out of nowhere, but this was actually bound to happen. 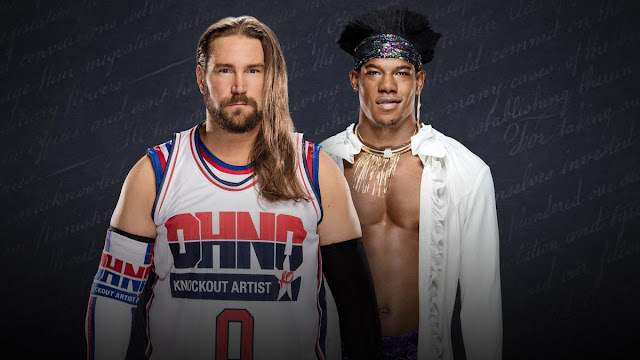 If you recall Velveteen Dream's promo on Johnny Gargano some few weeks ago, he mentioned that Gargano only beat a man—not a Superstar, because he doesn't look like one—named Kassius Ohno. Fast forward to this week's episode, Ohno talked to a defeated Dream and chastised him for thinking lowly of Gargano. Perhaps I have finally come to terms with Ohno 2.0's role in NXT as a gatekeeper. It's been established that Ohno is a solid worker, but Velveteen Dream is quickly catching up, so it's no doubt he's going over. Dream isn't quite there yet, but with this pairing, I'm personally expecting a solid opener from these two. I'm guessing that this is the Authors of Pain's swan song before they move up to the main roster, so Undisputed ERA will retain their titles. I expect SAnitY (A high spot from Nikki Cross, pretty please?) to be involved at some point, because the Undisputed ERA still have a beef to squash with Eric Young and his cohorts. Adam Cole (baybay!) perhaps will also have his share of shenanigans, because it's the Undisputed ERA after all. Okay, I am incredibly torn on this one. It will be a shame if Shayna loses her first TakeOver; but the same goes with Ember because her reign will be woefully short if she loses. But then, if they want Ember to continue being the struggling babyface here, then Shayna Baszler is winning the title on Sunday. This is another tough one to call, because I expect the winner of this match to be the next in line for the NXT title. Both are ripe to be champions, but I find Aleister Black to be more than ready than Adam Cole. Beyond the long-term implications though, this will be an interesting match because I personally don't see both of them being placed in an extreme rules match (in Philly of all places, which has a long history of extreme-ness with its connections with ECW). I'm looking forward to this the most. Now, who doesn't want Johnny Wrestling to win? After silencing the haters and proving that he is indeed worthy of a shot for the NXT title, we all want a happy ending for our protagonist. Except there's a looming menace named Tommaso Ciampa. This is very much obvious, but Almas is retaining with Ciampa directly or indirectly being involved at some point. Gargano first has to close his chapter with his former tag team partner before winning the big one (which could actually last for at least two TakeOvers), and Philly can be a great launching pad for an epic rivalry. It will hurt a lot, but it will be one heck of a ride. TakeOvers are always great, and this will be no different. NXT did a fine job in building up the card with interesting matchups, as per usual, all thanks to Creative's solid storytelling. No Way Jose def. Cezar Bononi: To put it bluntly, No Way Jose's absence on NXT didn't really do much, just like this opening match with the Brazilian, Cezar Bononi. Unlike obvious matches like this in the past, Bononi didn't exactly come out strong in defeat in this one. It wasn't a bad match, although there were some awkward sequences that looked like No Way Jose was waiting for Bononi to do his thing, but it wasn't good either. Bianca Belair def. 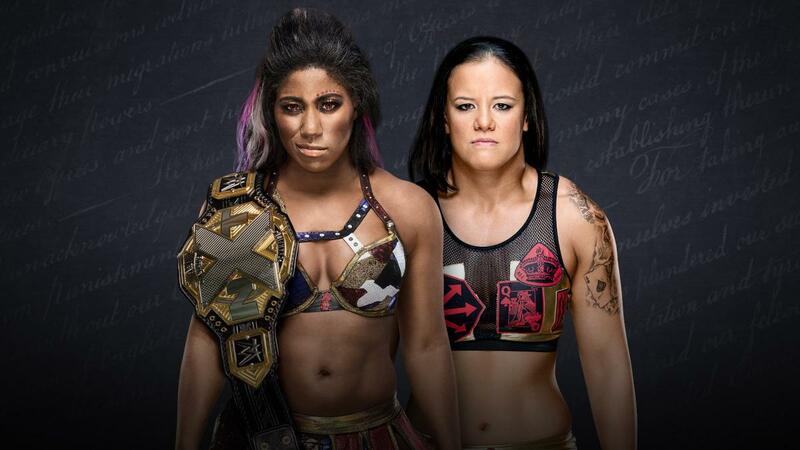 Latoya Allsopp: Yo, Bianca Belair is back on NXT TV! The match outcome was pretty obvious, but I liked how Bianca still toyed with Latoya (heh) before hitting her with one power move after the other. 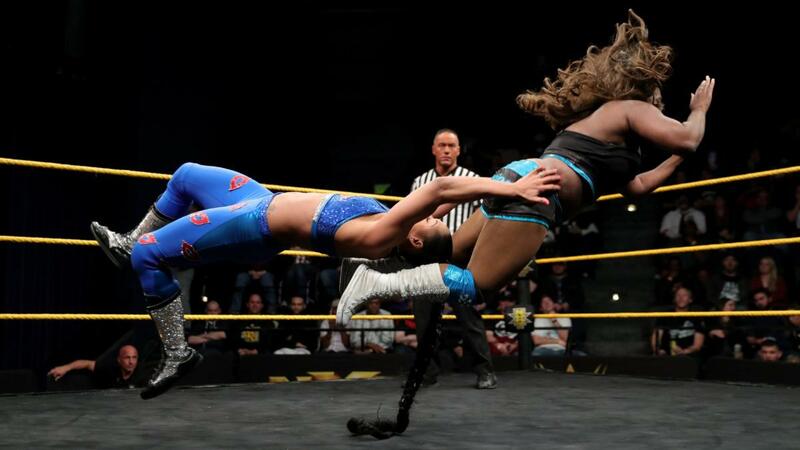 This match did its part: it highlighted a lot of things that made Bianca the -EST of NXT. And I will always pop for that hair whip. Percy Watson conducts an interview with Ember Moon and Shayna Baszler: I liked this segment a lot because it gave us a much deeper look into Shayna and Ember's characters, much more on Shayna's part. Goodness, I hated Shayna so much when the interview started because of the smug smirk on her face while Ember was talking about her being a bully. But when Shayna started talking about "stirring up waters to catch the big fish" and walking away with the NXT title, I found myself siding with Shayna's I-don't-need-to-explain-myself attitude, and I think that's... not good. Ember highlighting the code of honor and respect in the division was a good tidbit of her character that should be emphasized more. TM61's comeback story continues: The second part of TM61's story tackled how Shane Thorne injured his knee before TakeOver: Toronto, along with his rehab. Last week's first part was more compelling than this one, but it still achieved its goal of delving deeper into their characters. Their build as the tag team division's biggest babyfaces continues, and surely, a tag team title reign is within their sights. Authors of Pain vs. local competitors: Oh hey, a squash that has an actual build to TakeOver: Philadelphia! The match didn't officially begin because Authors of Pain immediately mauled their opponents as soon as they came out. It's great that they are letting Akam and Rezar have mic time to prepare them for the main roster, perhaps, but I will be bummed if Paul Ellering doesn't come up with them. This was a good use of time for AOP to remind everyone that they are bigger and more powerful than the champs, and it once again made me think how Undisputed ERA will survive against these two behemoths. Johnny Gargano def. Velveteen Dream to defend his no. 1 contender's spot for the NXT Championship: This was a barnburner that compensated for a meh show. It didn't pick up until after the first commercial break, where they further nailed the psychology of all of it: Gargano's heart, Dream's determination, and Gargano working on Dream's left elbow that eventually became his ticket to Philadelphia. After the match, the champion Andrade "Cien" Almas came out to confront Gargano and tried to sneak in a beating. As always, El Ídolo is great even when he does very little, and Zelina Vega was the slightly more over-the-top foil with her meltdown while Johnny Wrestling was holding the title. Compared to last week's promo, Johnny Wrestling now looks more sure of himself. Of course, after his win streak to become the number one contender and punch his ticket to Philly, it is expected that he is more confident heading to TakeOver. It's been quite a ride with the biggest babyface in the company, and I think my heart is ready for anything that will happen. This wasn't the best go-home show, but the segments, the main event and the confrontation between Almas and Gargano hyped me up more for TakeOver, and that's what matters. This gets a B from me.